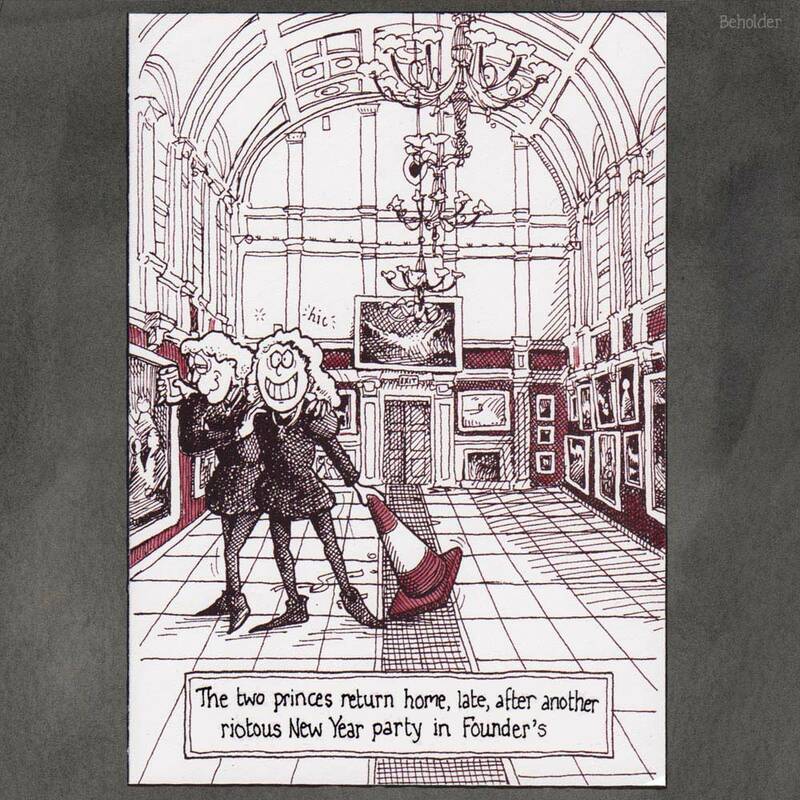 Card that I drew for Royal Holloway (or Royal Holloway and Bedford New College, to be precise) probably around 1992. This was one of two designs that were sold in the college shop. The picture gallery in the Founder’s Building houses a collection of paintings including over seventy bought by the college’s founder, Thomas Holloway, in a frenetic two-year spending spree in the early 1880s. 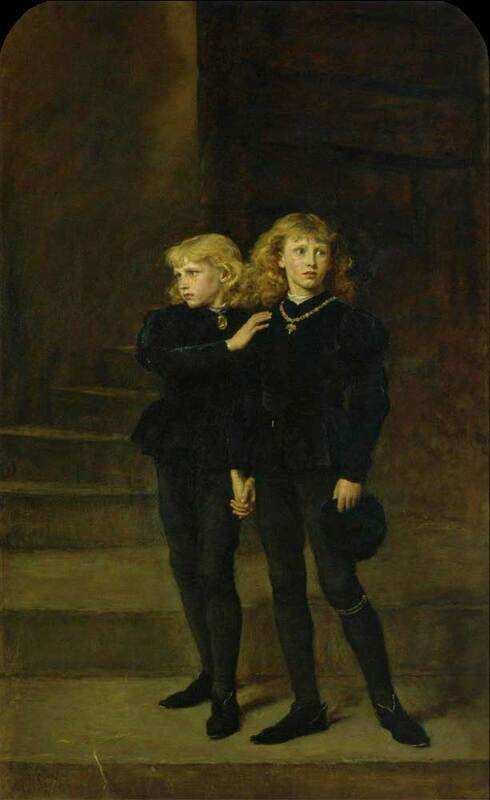 One of the famous paintings in the collection is The Two Princes Edward and Richard in the Tower, 1483 by Millais (the photo of the painting included here is public domain, via Wikipedia). When I was a student at RHBNC, I vaguely remember being able to wander freely into the gallery to enjoy the artwork. Security is tighter these days, and the gallery is kept locked up most of the time. Today (2018) the college opens the gallery to the public on most Wednesdays during autumn and spring terms, and some weekends too. During the summer term, the gallery is used as an examination hall. Unfortunately for students, another painting in the collection (Landseer’s hard-to-like Man Proposes; God Disposes, depicting two polar bears chomping on the remains of the doomed Franklin expedition) is cursed: any candidate taking their exam in front of it will fail. Fortunately for students, the college takes the precaution of draping a union jack over it, because it’s a curse so weak that it can be annulled by such a simple (and colourful) countermeasure. 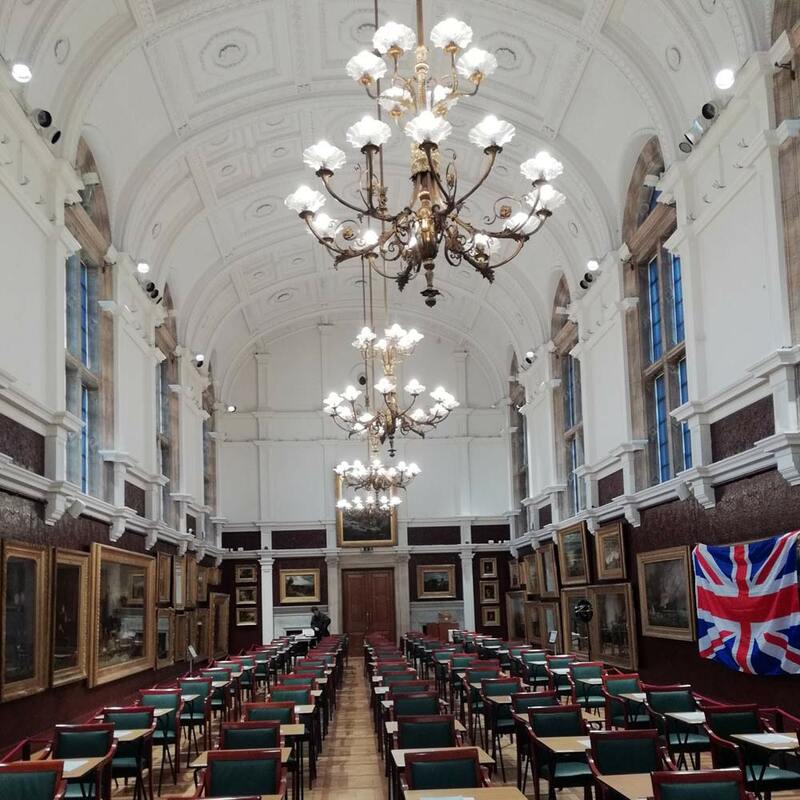 I’ve been doing a stint as an invigilator up at the college recently so this photo, taken 2nd May 2018, shows the hall set up for an exam — you can see the flag on the right and, opposite it (on the extreme left of the photo), the Two Princes.